William Messenger is an award-winning author (see www.shatteredtriangle.com) who was born in Los Angeles, California. He was raised in a devout Catholic family and attended St. John of God Catholic Elementary School in Norwalk, where he was taught by the Sisters of the Holy Faith. He studied for the priesthood at St. John’s College and St. John’s Seminary both in Camarillo, California. Fr. 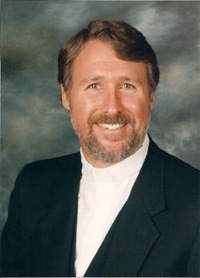 Bill, as most parishioners called him, was ordained for the Archdiocese of Los Angeles and subsequently received a Doctor of Ministry Degree from the Jesuit School of Theology at Berkeley, California. He served in a number of parishes, mostly in the greater Los Angeles area, and for twelve years was director of the Catholic Center at the University of Southern California. He served as a member of the African-American Liturgy Committee for the Office of Liturgy, was a member of the Archdiocesan Justice and Peace Commission, and was a consulter to the Office of Parish Councils. Fr. Bill also served for several years as a member of the Priests-Rabbi Dialogue Committee in Los Angeles. As of December 17, 2010, Fr. Bill, although still a priest, is no longer in active parish ministry. He is, however, available for services outside a Catholic Church.